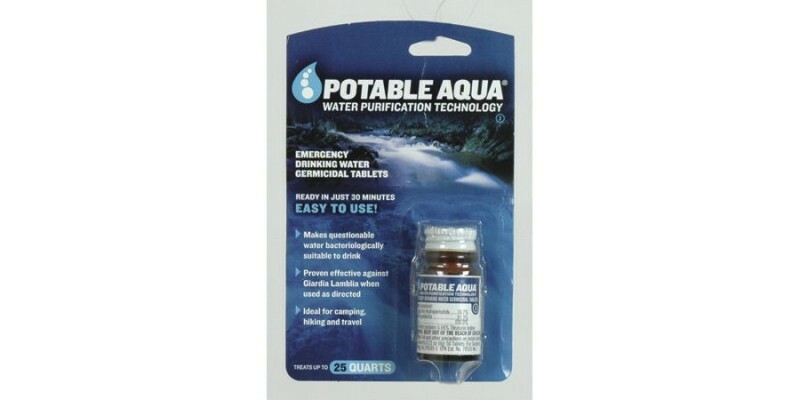 POTABLE AQUA TABLETS:An iodine based tablet that works on all bacteriologically impure water. One bottle contains 50 tablets and will purify 25 to 50 quarts of water. depending on source of water.